OXFORD, Miss. – When Ole Miss and LSU tangle on the baseball diamond, they usually put on quite a show. This weekend in Oxford was no exception. Entering the series, only one game separated the Rebels and Tigers in the SEC standings, and both were looking for momentum heading into the home stretch of league play. 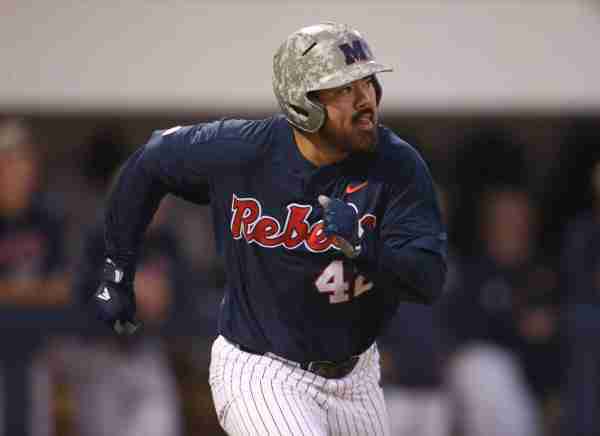 In what was a tie game through six-and-a-half innings, the Rebels got hot in the home half of the sixth and put together their most productive inning in the 21st century, scoring 11 runs. It was also the first time since 2010 that head coach Mike Bianco’s bunch plated double-digit runs in a single inning. The sixth inning saw 16 Rebel hitters appear at the plate, four pitchers take the mound for LSU, and six walks issued to Ole Miss batters. Overall for the game, Ole Miss pounded out 15 hits and scored 14 runs. Every Rebel starter scored a run—and eight of the nine starters scored in the sixth inning. Senior left fielder Tim Rowe, playing for an injured Ryan Olenek, continued his hot streak at the plate as he hit three doubles in four at-bats. Second baseman Jacob Adams recorded a single and a double. Team co-captain Will Golsan notched two singles and led the team with three RBIs. Third baseman Tyler Keenan and first baseman Cole Zabowski also had multi-hit days at the plate, with Keenan going 2-for-2 and Zabowski 2-for-3. Sophomore pitcher Ryan Rolison pitched extremely well, limiting the Tigers to single runs in the second, third, and sixth innings and stranding LSU runners at third in both the third and sixth innings. He appreciated the scoring bonanza his team produced. In the win, Rolison’s sixth of the season, the southpaw dealt five strikeouts to bring his season total to 87. Reliever Max Cioffi pitched a scoreless eighth and ninth innings for the red and blue, recording two strikeouts and facing only one more than the minimum. What makes baseball such an entertaining sport is that great success in one game doesn’t predict success in the next day’s game—and Friday night’s contest was a definite example. Having pounded the LSU pitching staff on Thursday, the Rebels hoped for a bit of a carry-over effect on Friday. LSU right-hander Ma’Khail Hilliard would have other plans. Ole Miss scored first in the first inning with one run, but the Rebels left two runners on base. Hilliard went on to pitch seven innings, allowing no more Ole Miss runs. Ole Miss pitcher and co-captain Brady Feigl matched Hilliard inning for inning, holding LSU off the scoreboard until the sixth and ultimately going 6 2/3 innings. Bianco was pleased with Feigl’s performance. “That’s the best slider that he’s had all year,” Bianco noted. Feigl matched his season-high with eight strikeouts on the day. Unfortunately, however, the Ole Miss bats couldn’t match the pitching performance. Nick Fortes added a solo home run in the 8th inning, his eighth of the year. “It felt good to finally connect with one,” Fortes said afterward. Greer Holston pitched the final six outs for Ole Miss, allowing no runs on two hits. “We gotta play better tomorrow and finish the weekend,” Bianco said after Friday’s loss. Blue skies, 74 degrees, Double Decker weekend in Oxford, and the series on the line against the LSU Tigers. What more could one ask for? 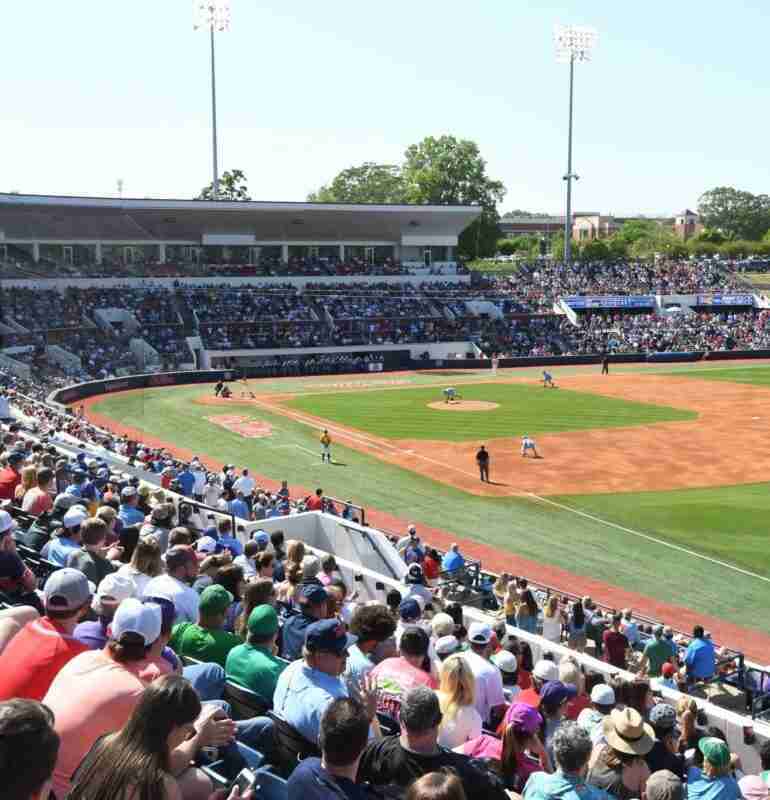 A school-record 12,152 fans packed Swayze and were treated to a gem of a matchup. In a game that had 12 half-innings go scoreless, one might expect it to be a low scoring affair. That was not the case, however, as 17 runs were scored between the Rebels and Tigers. The Ole Miss scoring came in the second and seventh. Both innings saw the Rebels come from behind to take the lead—and both innings delighted the fans in the student section. Designated hitter Chase Cockrell was the Rebels’ hero at the plate in the second inning, hammering a 3-run home run to deep centerfield. Cockrell’s blast scored Will Golsan and Cole Zabowski, who reached base via a hit by pitch and single, respectively. The surge continued as Tyler Keenan followed Cockrell’s homer with a double, later scoring on a Grae Kessinger single. Back in the lineup for the first time in a week, Ryan Olenek also singled in the second to advance his hitting streak to an SEC active-high of 20 games. LSU would answer with six runs of its own in the third inning. Ole Miss reliever Will Ethridge was a monster on the mound for the Rebels, recording the final two outs of the LSU third and pitching scoreless fourth, fifth, sixth, seventh, and eighth innings before turning the ball over to closer Parker Caracci. 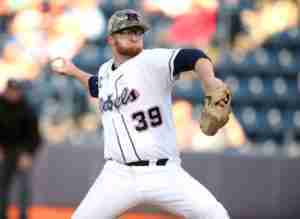 Ethridge threw 71 pitches, his season-high. “You could argue he was the most valuable guy in the game,” assistant coach Mike Clement said. En route to his team-high 8th save of the season, Caracci went strikeout, strikeout, fly-out, and sprinkled in two walks to make things interesting. He brought the heat, with one of his pitches clocked at 99 miles per hour. To regain the lead from the Tigers, Ole Miss needed some seventh-inning heroics. Trailing 7-4 with nine outs to go, Tyler Keenan led off with a double down the right field line. Tim Rowe followed with a double, his sixth of the week, that scored Keenan. Grae Kessinger then singled home Rowe, and Nick Fortes reached base on a possible double-play ball that was bobbled by the Tigers’ shortstop. This set the table for Thomas Dillard. Dillard was 0-for-3 Thursday, 0-for-3 Friday, and 0-for-2 Saturday—without a hit in the series until the seventh inning. After fouling off the first pitch and taking the second pitch for a strike, the sophomore took three straight balls. He promptly crushed the 3-2 pitch deep over the LSU bullpen in left field. It was an absolute “no-doubter” off the bat for his team-leading 10th home run of the season. Total attendance for the series was 32,075. Ole Miss now sits at 12-9 in conference and 34-11 overall. The Rebels finish the home stand with Arkansas-Pine Bluff on Wednesday at 6:30 p.m. For the weekend, Ole Miss heads to Eastern division opponent South Carolina. First pitch on Friday is set for 6:00 p.m., with Saturday and Sunday start times set for 3:00 p.m and 11:00 a.m. respectively.